Konica Minolta Copiers are the way forward in this day and age. They have the latest in touch screens and user displays which makes the experience for the user sophisticated and enjoyable. Each machine is a finished piece of work in terms of craftsmanship and technical genius. Every copier from Konica Minolta is designed and worked on thoroughly and extensively to ensure a machine which keeps up with modern office and its requirements. Enjoy fast printing speeds of 36 ppm in color and B&W on this Konica C-368 MFP. The Bizhub C368 includes an enhanced control panel which features a new mobile connectivity area. The Konica C368 also offers many great finishing options that you can choose from including a 50-Sheet staple finisher, tri-folding, post insertion and lots more. The Bizhub C308 features a 9" interface with a new mobile touch area to support NFC. The optional Fiery Image Control on the Konica C308 gives graphics-intensive applications state-of-the-art color image control. Configure it the way you desire with internal or floor-standing 50-sheet Staple Finishers for high-speed auto-finishing convenience, with modular options for 80-page booklet making, tri folding, post insertion and automatic sorting. Use the sleek, black Konica3320 to print, copy, scan and fax. Enjoy black and white print outs at a speed of 35 pages per minute with 600 x 600 dpi resolution. The Minolta 3320 includes one paper tray and an option of adding a second one to increase the paper capacity to 850 sheets. This lightweight Bizhub-3320 will also print automatic duplex prints. The Bizhub C224E is a powerful MFP that copies and prints at up to 22 pages per minute. 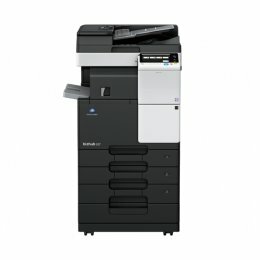 Enjoy optional single pass dual scanning on the Konica bizhub C224E, in addition to various other finishing options. The 9" color screen and enhanced control panel on the Konica Minolta C224E makes it as easy to manage as your familiar tablet PC. 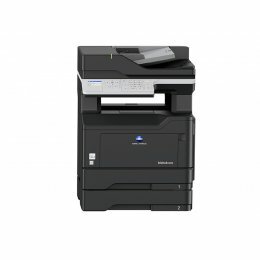 The Konica Bizhub 3602P Copier is a versatile all in one solution. The Konica 3602P MFP offers print, copy, scan and fax functions while still compact enough to fit into a small space. 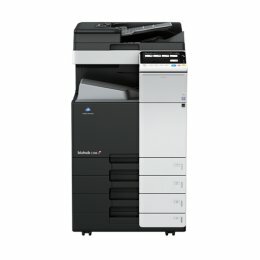 Enjoy printing speeds as fast as 38 ppm, automatic duplex and wireless connectivity on the Konica Minolta Bizhub 3602P Multifunction Copier. 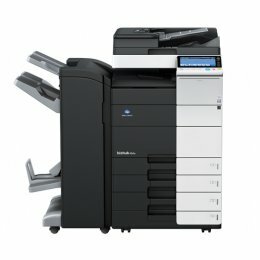 The Konica Minolta Bizhub C3350 is a color multifunction device with the ability to copy, print, and scan, with the option of adding high quality Super G3 fax. 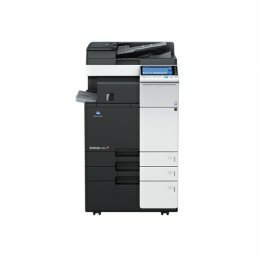 Its compact design and power to copy/print at up to 35 ppm make the Konica C3350 a perfect choice for any busy workplace with limited space. The Konica Minolta C-3350 features a large 7" touchscreen, with quick touch-and-flip operation and user-friendly icons. Enjoy fast printing speeds of 36 ppm in B&W on this Konica 368 MFP. The Bizhub 368 includes an enhanced control panel which features a new mobile connectivity area. The Konica 368 also offers many great finishing options that you can choose from including a 50-Sheet staple finisher, tri-folding, post insertion and lots more. 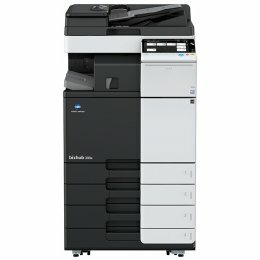 The Konica Minolta 368E Copier is a black and white all in one copier. It includes a mobile touch area making work more convenient and flexible. Use features such as automatic duplex prints and a wide range of finishers on the Minolta 368E MFC. The Konica Minolta 308E MFC is a black and white printer with 4 functions. It is simple to use with its touch-and-swipe operation. 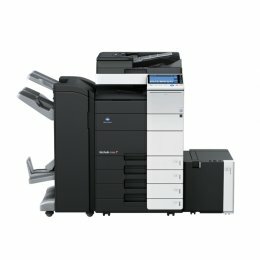 Features of the Konica Bizhub 308E Copier include printing directly from your mobile device and a wide range of finishing options. The Bizhub 308 features a new enhanced control panel with a new mobile connectivity area enabling you to easily print straight from your mobile device. The Konica 308 is the upgraded version of the Konica 224e which prints as fast as 30 ppm. Configure it the way you desire with internal or floor-standing 50-sheet Staple Finishers for high-speed auto-finishing convenience, with modular options for 80-page booklet making, tri folding and post insertion. 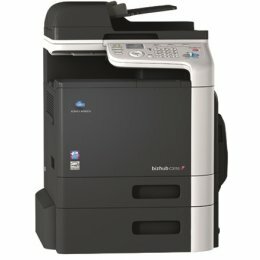 The Konica Bizhub 227 laser multifunction copier is affordable and ideal for small to mid-size businesses. 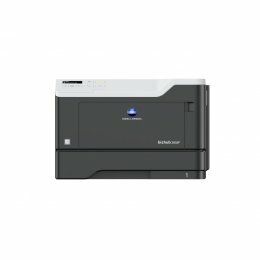 The Konica Minolta bizhub 227 prints and copies in high-resolution B&W at up to 22 pages per minute, while it scans in both color and B&W at up to 45 ppm. The Konica 3110 will copy, print, scan and has the option of fax. It can hold up to 850 sheets of paper including A4 and legal size. Enjoy color prints at a speed of 32 pages per minute and 1200 dpi resolution with the Konica Minolta C3110. The Bizhub C364 features a new 9" innovative "touch and swipe" control panel that contributes to better productivity, information sharing and workflow efficiency. Increase your print/copy output speed in both color and B&W and reduce costs with the Konica C364 color multifunction printer. The Konica Minolta C454 is a multifunction printer fax copier that puts more speed, power and information at your business’ fingertips. The benefits of the bizhub 454 begin with superior color imaging at output speeds of up to 45 ppm, and don’t stop there. The Konica Bizhub 454e is a monochrome all-in-one copier, printer and scanner with optional fax options. 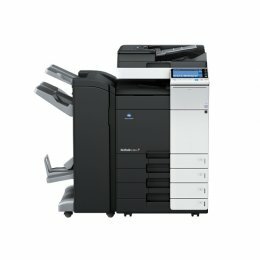 The Konica 454e can print and copy at up to 45 ppm. The Konica Minolta 454-e scans up to 160 originals per minute. 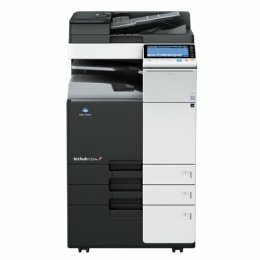 The Konica Bizhub 284 Multifunction Copier is a black and white high-volume, powerful machine to increase your productivity and print speed. The Bizhub 284e Copier has a high speed output of up to 28 ppm for both copying and printing. The Konica Bizhub 284 is a true multi-function device offering, printing, copying and scanning, as well as advanced security features with a touch screen for easy management. The Bizhub c284 has now replaced the Bizhub c284. 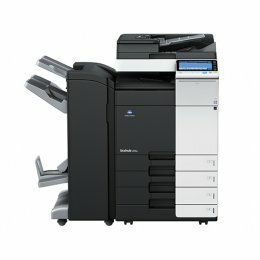 The Konica Minolta C284 is the only choice for outstanding all-in-one productivity. 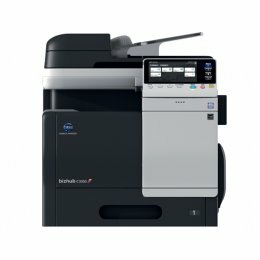 The bizhub c284 multifunctional printer features Konica Minolta’s revolutionary new INFO-Palette design. The Konica 284 offers print and copy speeds up to 28 ppm. 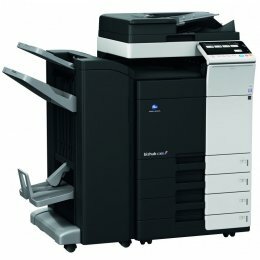 The Konica Minolta Bizhub copier is a great place to start when looking for a modern and sophisticated piece of equipment. Konica provides stability in an often changing and evolving world of modern technology. Although they incorporate all the latest effects and options, the user face and instructions are exceedingly simple and easy to follow.